Tips on how to have effective career conversations with your manager from our colleague, Lindsey. Lindsey worked in the food industry for years before a conversation with a relative started the dialogue about a career change. “I was working for a restaurant, catering and bartending and such,” remembers Lindsey (right, below). “I loved it but the hours were tough and it was draining on me. Fittingly, it was a conversation with my aunt, who also works at Citizens Bank, that persuaded me it might be time for a career change.” After touching up her resume and exploring a number of opportunities, Lindsey secured a job at Citizens in the Collections Recovery group, which helps customers who are experiencing severe financial difficulties to find solutions that will help get them out of debt. Lindsey jumped excitedly into the role, determined to excel in her new craft. Despite being new to the banking industry and facing a steep learning curve, Lindsey picked up tricks of the trade very quickly and soon began to shine in her role – particularly in the area of coaching and assisting her fellow colleagues. After only eight months on the job, Lindsey was promoted to a Supervisor Closer and she became increasingly involved with the onboarding of new colleagues and subsequent career conversations with them. Then, after a talk with her manager, she was promoted to a Recovery Manager in January of 2018. Identify your strengths and weaknesses, reinforce your strengths: "Before your conversation, identify some of your strengths and some of your areas you think you need improvement,” explains Lindsey. “Then, talk to your manager about your strong suits and how you think you can better leverage them. Oftentimes, your manager will be quick to point out opportunities where your talents can be best utilized." Focus on your aspirations, your values and motivations, and your career goals: "It's a helpful exercise to reflect on where you want to take your career and where you think your skills can be put to best use, before your discussion with your manager,” suggests Lindsey. “This will help ensure the conversation stays focused on you and your career aspirations, rather than any job dissatisfaction you may be having." Inquire what specific actions or milestones you must complete in order to reach your objective: "Once you’ve honed in on your goals more,” explains Lindsey, "Ask your manager, ‘What do I need to do in the next 6-12 months to get achieve my career objective?’ Setting specific actionable tasks and a timeframe help keep both you and your manager accountable for the next steps in your career." 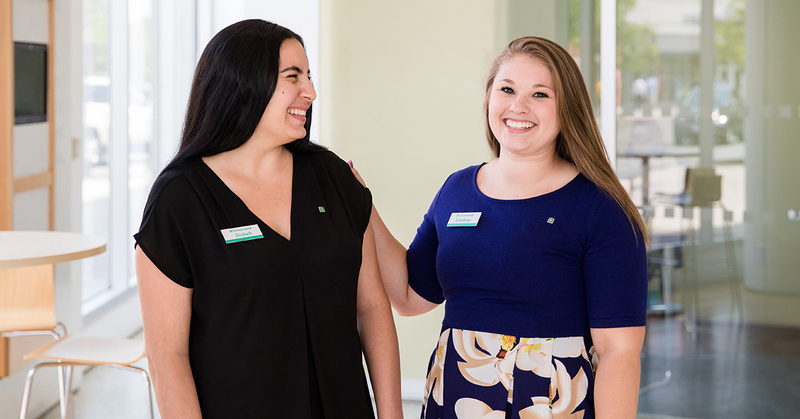 Click below to learn more about Citizens Bank colleagues, like Lindsey, and the ways they are growing their careers with us.